U Grok It is has an open development system and we encourage developers to build solutions on U Grok It or extend their current solutions to smartphones on our platform. We provide a number of developer tools/sdks, developer apps and end user apps. Native apps can be written to run without WiFi or Cellular connectivity. U Grok It writes and publishes apps to help developers quickly provide basic connectivity to U Grok It and get their users gathering data from the Grokker. Developer apps provide a subset of U Grok It functionality in connection with your own browser-based app and server. 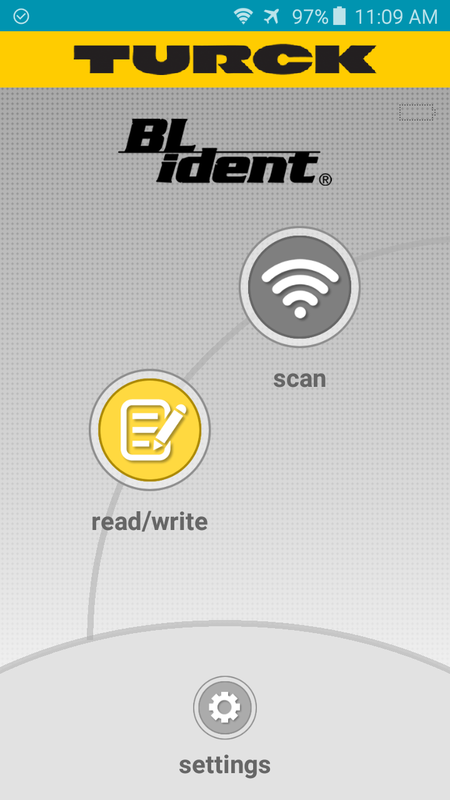 Turck RFID is available on both Android and iOS, and has identical functionality on each platform. Turck RFID allows reading and writing of tags, and sending tag data to a backend (via HTTP). With this Android soft-keyboard and an attached U Grok It RFID reader, it is possible to scan and enter RFID tag EPCs with arbitrary apps. A special key on this keyboard starts the RFID scanning system, and scanned EPCs are automatically entered into the current text field of a target app. To the app, the EPC appears as if it were entered manually. Modifications of the target app are not required for this purpose. The Grok Keyboard provides an alternative input method for Android devices. Manual input is still supported. Once installed and enabled the input method is available for all apps on your handset or tablet. The keyboard can be used with conventional apps, with browsers and with remote desktop applications (RDP). The keyboard currently supports English. It's a real time-saver: The app provides convenient RFID-scanning capabilities, typing efforts are reduced, and app-switching or copy/paste operations are eliminated completely. These apps are no longer being actively developed, but are maintained. These apps are not recommended for new users and new designs. The Discover Grok app for iOS with the U Grok It reader (the Grokker) turns your iPhone, iPod Touch or iPad into a UHF RFID reader that can identify, locate, track and inventory tagged items, scanning them within a 6’-25’ (2-7m) range, with the ability to read all the tags in that area. Identify – Identify individual items in your database. Count – Inventory and count all items in your database, or a subset of your database. Locate – Find any specific item that is in your database. Basic RFID – List the EPC code of tagged items as they are scanned. Tag – Commission a UHF RFID tag and enter the item into your database or associate a name, data and picture with any already commissioned tag. Data – Manage your database, add, remove and change fields. Settings – Check battery level of the Grokker, create new databases and check version information. U Grok It cloud – Register with U Grok It and synchronize your data across multiple iOS devices. CSV import/export – Work with your existing data. Discover Grok 2's "basic RFID" functionality is now available in the Turck RFID app. Grok Demo is a test app to use with the U Grok It Smartphone RFID system to bring the benefits of UHF Gen 2 RFID to your Android mobile device. The Grok Demo app showcases the full function features of the Grokker - including reading and writing tags, viewing EPC numbers and scanning local database items. Grok Demo's "basic RFID" functionality is now available in the Turck RFID app. Send Grok for iOS is a simple app that scans tags and sends their tag info to a backend: an HTTP destination (URL), or an email address. All Send Grok functionality is now available in the Turck RFID app. Send Grok for Android is a simple app that scans tags and sends their tag info to a backend: an HTTP destination (URL), or an email address. U Grok It and the U Grok It logo are registered trademarks of U Grok It, Inc.